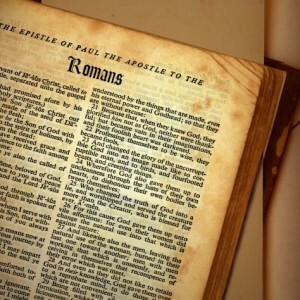 NASHVILLE — A lawmaker in Tennessee has proposed a bill to make the Bible the state book. Rep. Jerry Sexton (R-Bean Station) recently introduced HB 615 to amend the Tennessee Code to make the acknowledgment. “The Holy Bible is hereby designated as the official state book,” it simply reads. State Rep. James VanHuss (R-Jonesborogh) has also submitted a resolution to add text to the state Constitution that would acknowledge that the rights of Tennessee citizens come from God. “We recognize that our liberties do not come from governments, but from Almighty God, our Creator and Savior” House Joint Resolution 71 reads. But some are taking issue with the proposals, and 81 percent of those who have participated in an online poll by the Tennessean, one of the newspaper outlets in the Bible Belt state, oppose making the Bible the state book. “Doesn’t state Rep. James VanHuss have anything better to do, like legislation that might actually help people’s lives? Maybe name a state bird or something?” wrote Fox News commentator Alan Colmes. Rob Boston of Americans United for Separation of Church and State also wrote a blog post about the matter, stating that the holy text is a bad choice, and that secular material is preferable. He noted that similar bills have been proposed in Mississippi and Louisiana. As previously reported, three lawmakers in Mississippi likewise proposed to make the Bible the state book last month. “Me and my constituents, we were talking about it and one of them made a comment that people ought to start reading the Bible,” Rep. Michael Evans (D-Preston) told AL.com.